My experiences in the supernatural have ranged far and wide. I have seen the dark side, including many haunts, deaths or instances of impossible survivals, and after having dealt with ghosts and demons both in the physical world and in the world of dreams. Somehow, I have survived all that. But it doesn’t stop there. My encounters with real evil have propelled me in the opposite direction. 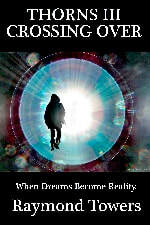 If such dark energies and beings exist, then where, I wonder, are their positive equivalents? It is a very strange path I have taken, and it has led me to many unexpected doorways. Have a look, will you, and see what I have seen, hear what I have heard, witness what I have witnessed. There are many Roses in this garden of the supernatural and spiritual search for God, but there are also many Thorns. My world is nothing like yours. Are you prepared to enter it? This novella is based on true events. So, you’ve heard of the Amityville Horror and the Bell Witch Haunting. You might think that true, demonic ghost stories like those are things of the past, or things you only see in movies, but you’d be wrong. Here is the story of the worst Haunting I’ve ever witnessed in my entire life, when the house I lived in tried to murder me. Rating: HIGH controversy. 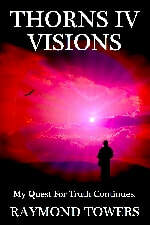 Read or download this novella FREE at Smashwords or most other e-book retailers. Get this e-book now by clicking on the cover image. This is my world. 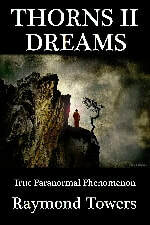 It is full of ghosts, demons, bizarre anomalies and impossible survivals. It is a place that most people never see or only get a fleeting glimpse of. I have been immersed into this darkness for most of my life. Everything in this book is real. It happened to me and to those around me. My name is Raymond Towers and these are my True Tales Of The Weird. Rating: HIGH controversy. Purchase or sample 20% of this novel at Smashwords or select other e-book retailers. Get this e-book now by clicking on the cover image. After so much torment and discovery from without, I am now turning my focus to within. My path is a troublesome path. At times, I can see the roses lining it, but always there are thorns. Here are my revelations. Everything presented here is the Truth as I have experienced it. This book is not for the many. It is for the few. This e-book contains a few instances of EXTREME subject matter. In my search for truth, I have found that answers are an elusive thing for me. They elude me in my dreams, for they slip away too quickly when I wake up. They elude me in my channeling as well, for the entities from the other side are not always up to telling the truth. And always, there are demons waiting for me to falter. Here is what they have given me to decipher. Rating: HIGH controversy. 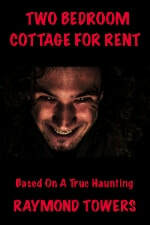 Have you ever wondered what it might be like to live in a haunted house? A house that doesn’t want you there, and that will do anything it can to force you out? A house that will plague you with bloody and gruesome nightmares, or bite you with a thousand, tiny little mouths, or send all manner of cruel specters to torment and harass you? I’ve been in one, for a span of nearly one full month, and let me tell you, it is not an experience I ever want to go through again. This novella may be a fictionalized version, but I want to be clear that these events really happened to me, and exactly as they appear in the story. Will you take a chance, dear reader, and step through the threshold with me? Will you stand at my side in the unexpected chill of my cozy living room, and listen as I relive some of the most harrowing events of my life? Don’t let the silence fool you. The house is watching us, and has been for a few minutes now. Even now, it is devising a plan to terrify us into a panic, to make us question our own reality, and finally, to devour our very souls. Greetings, dear reader, and welcome to my nightmares. Well, not exactly my nightmares… Better said, welcome to my reality. On the one hand, we have the physical world. It can be studied, measured and defined. It is somewhat predictable and sane. On the other hand, we have the spiritual world, which cannot be quantified and which refuses to allow itself to be plotted or mapped or pigeonholed. The spiritual world is nowhere to be seen, and yet it is always around us and even inside of us. Many, many great civilizations have held the belief that the spiritual world goes hand in hand with science and truth. In modern times, most people don’t come in contact with the spiritual world. Even if they did, they wouldn’t know how to deal with it, as these people cannot grasp something that cannot be grasped, something that can’t be poked with a needle and mounted into a glass-cased collection somewhere for observation and study. These people merely shrug their unconvinced and materialistic shoulders and label people like me as liars or lunatics. I ask you, who is the real lunatic? The person who closes his or her mind and only listens to what their politicians, scientists and religious leaders, or even worse, their television, claim to be the ultimate truth? Or the person who opens their mind and at least makes an attempt to grasp what is really out there? Sadly, I must relate that I have comparatively little experience with the positive side of the spiritual world. Of the other end of the equation, however, I can state that I have seen far more than my share of The Dark Side. I have fallen into it and drowned within it. I have reveled in its insanity like a mad drunk. It seems to me that I was cursed from the time of my birth, and this black curse has done everything in its power to prevent me from seeking out and gaining knowledge, to torment me in both nightmares and in real life. On several occasions, this darkness has even tried to take my life. Through it all, somehow, and sometimes miraculously, I have survived. 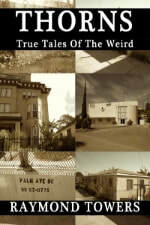 These are my true tales of the weird. Read them as fiction, if you’d prefer not to face the truth of the grimmest of realities. If you prefer to have a restful night’s sleep. Or, if you have the stomach for it, read this book as what it truly is: the truth as I have experienced it. The incidents described herein are or were very real to me, and I have not twisted or otherwise augmented the experiences as I saw them. I have no solid, scientifically provable explanations for any of the following events, although I did have a number of witnesses in nearly every instance. In some cases, through conjecture and research, I have been able to reach certain conclusions and I have noted them after the incidents or tales. A few of the stranger events I have no idea how to rationalize. I would be wasting both your time and mine in trying to do so, so I won’t bother making the attempt. Enough of this drivel. The presentation is about to begin.